Ohh, I love them. 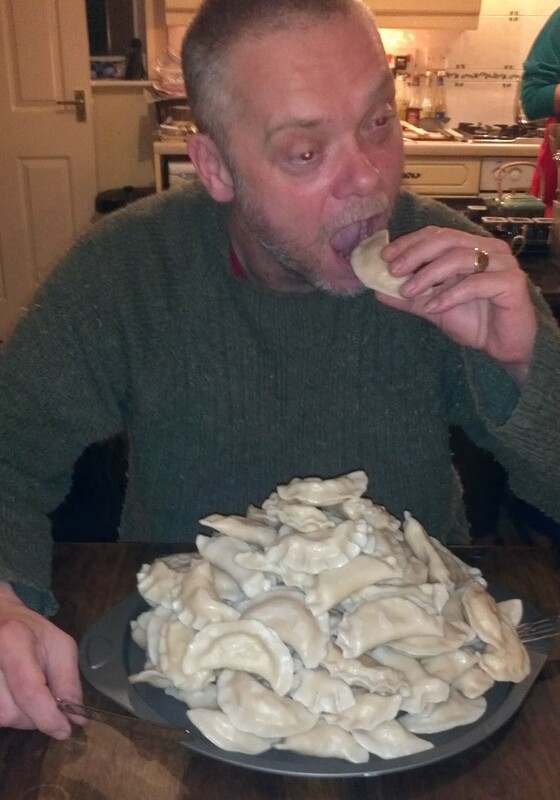 There was a time during my childhood when I did not want to eat anything else, just pierogi – Russian style, or with meat, cabbage and mushrooms or with cherries or strawberries… the possibilities were endless. Pierogi (Polish pronunciation: [pjɛˈrɔɡʲi]; juvenile diminutive form: Pierożki Polish pronunciation: [pjɛˈrɔʂki] also in use) are dumplings of unleavened dough – first boiled, then they are baked or fried usually in butter with onions – traditionally stuffed with potato filling,sauerkraut, ground meat, cheese, or fruit. Of central and eastern European provenance, they are usually semicircular, but are rectangular or triangular in some cuisines. 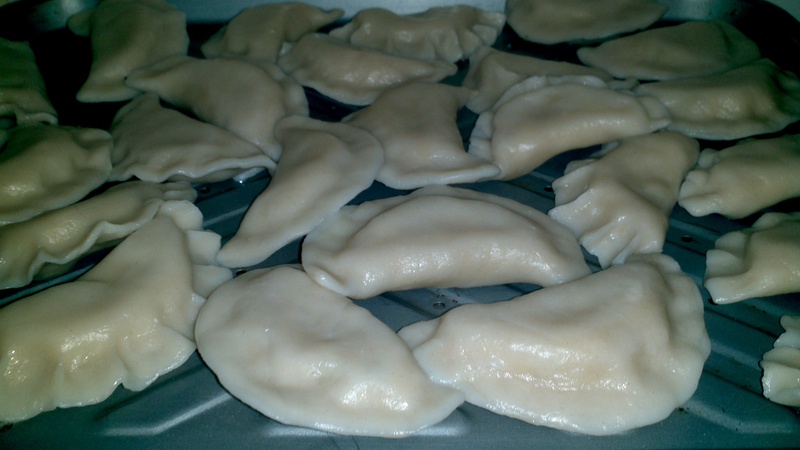 Pierogi are similar to the Russian pelmeni or Ukrainian varenyky and are not to be confused withpirozhki (the Russian word for stuffed fried buns) or a pirog (the Russian word for “pie”). 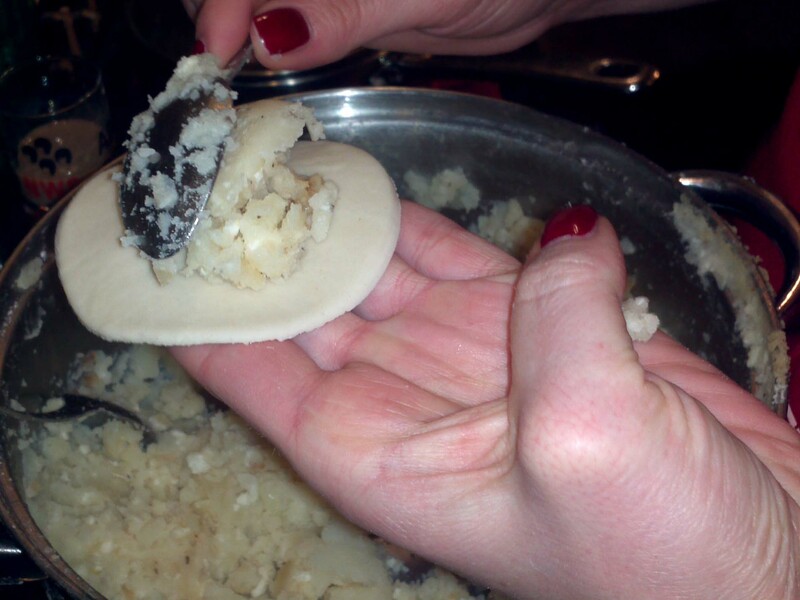 Polish pierogi ruskie are similar to the Ukrainian varenyky in version with potatoes and cottage cheese (quark). 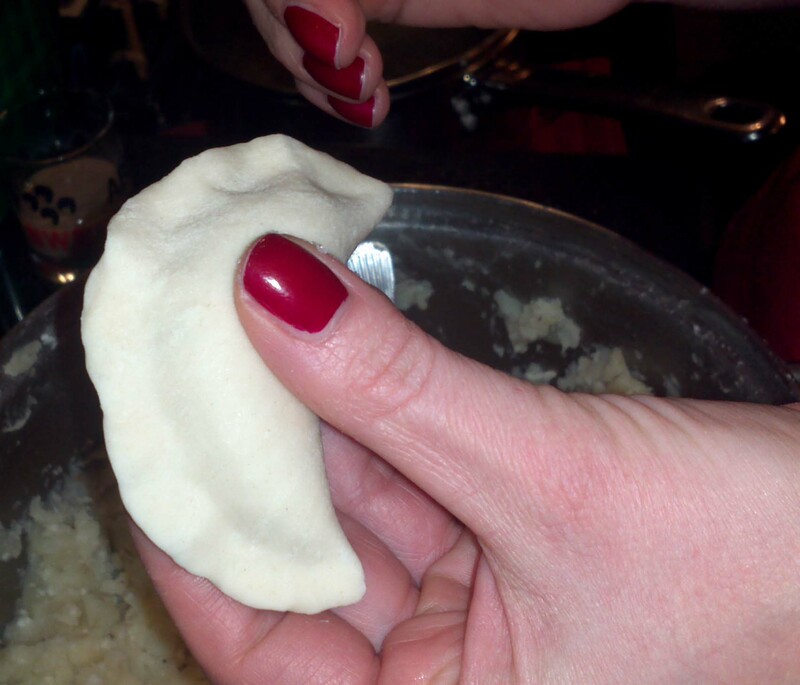 Pierogi are very easy to make, but quite time consuming. You will need to make dough and some filling. 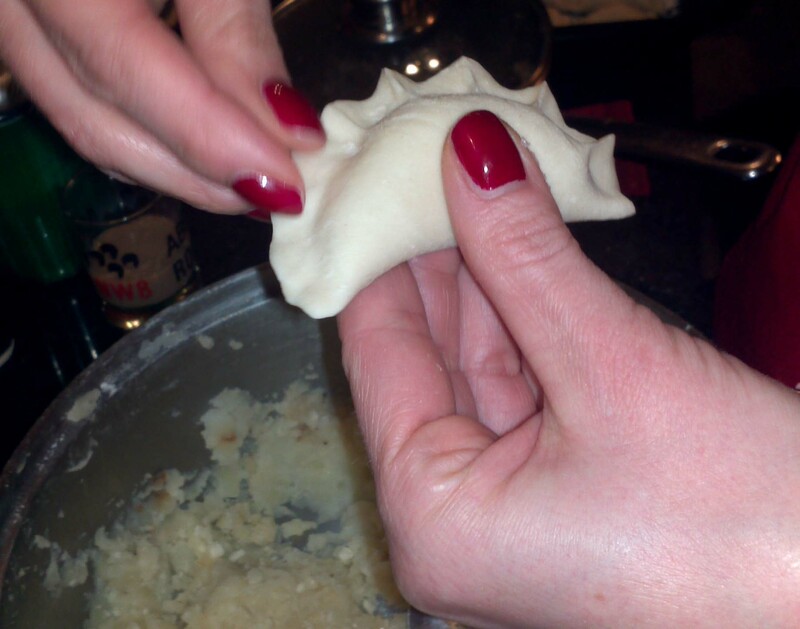 This time let’s focus on Russian style pierogi, which means filled with potatoes and farmer cheese mix. 1kg of flour will make around 100 pierogi, yes that’s a lot, but they freeze very well. We normally do the filling in proportions of 3:1 (three times more potatoes than farmer cheese). First we need to make our filling. The filling is made at this point and we can now move on to making the dough. 1. 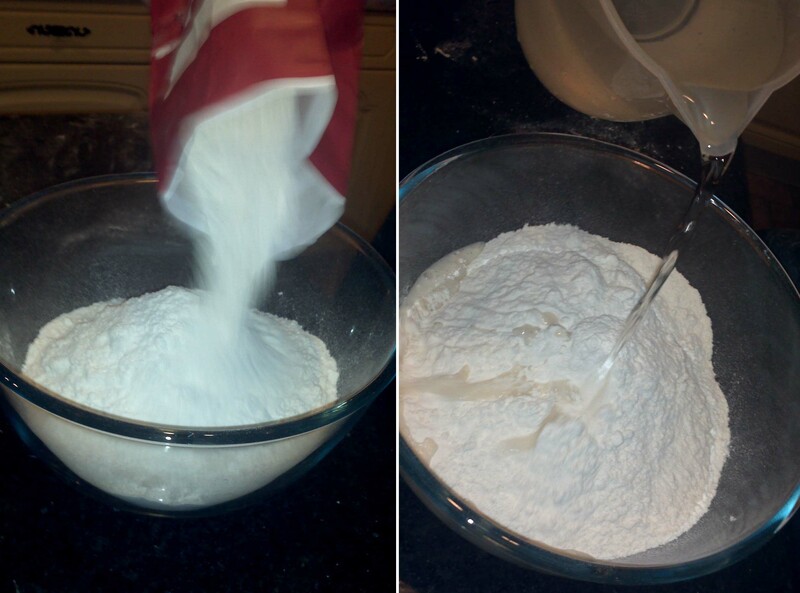 Add some flour into a big bowl. 0.25kg per batch as we will make 4 lots of dough. If you make all the dough in one batch, it will dry out and crumble by the time your half way through using it. 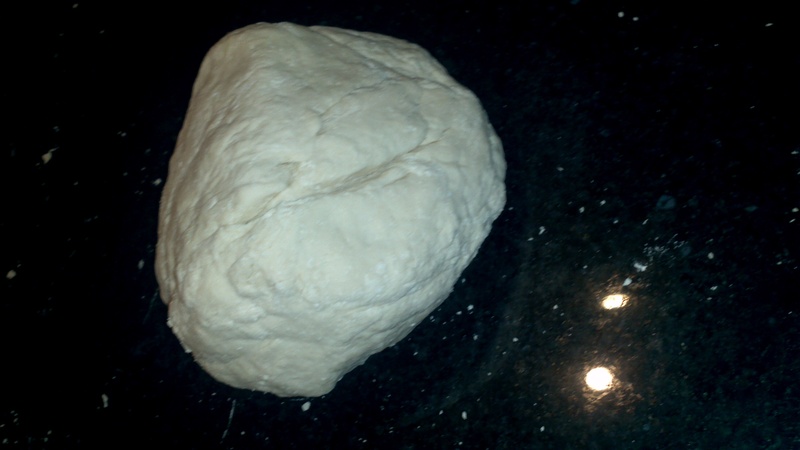 When your dough is well kneaded and rolled it is ready to be cut into shape. 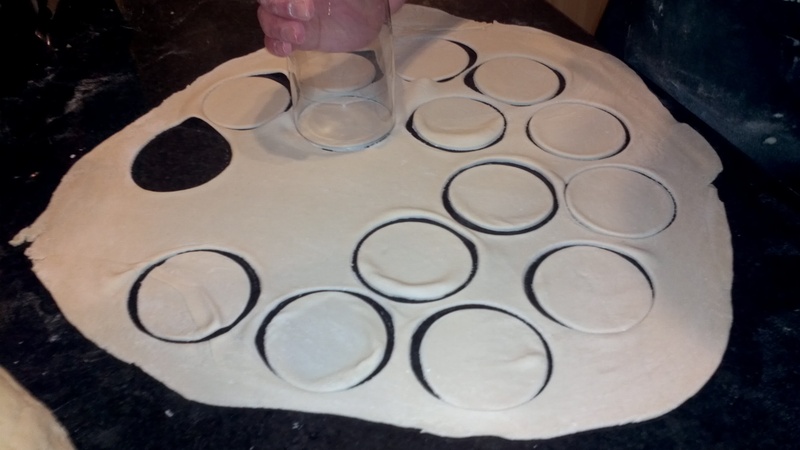 For this you will need a large cup or a pint glass or a cookie cutter. Just like this. Now we have all the components we need to make / build our pierogi. 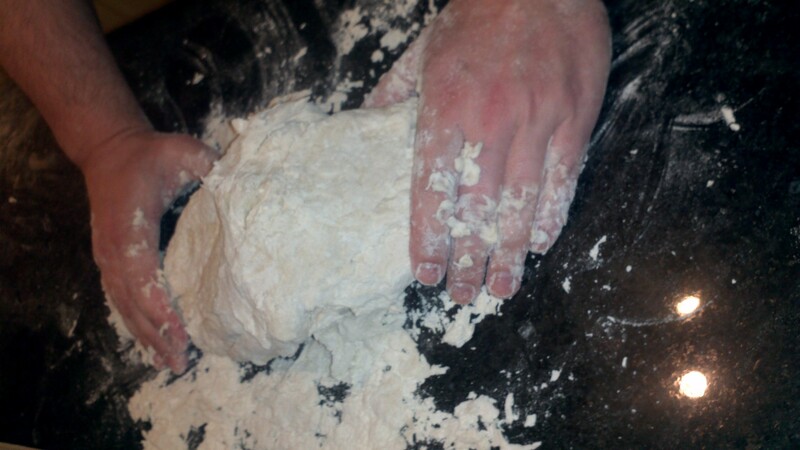 We have our stack of nicely cut dough disks and our filling so it’s time to put them together. This part may take some practice but I hope these pictures will help. 1. 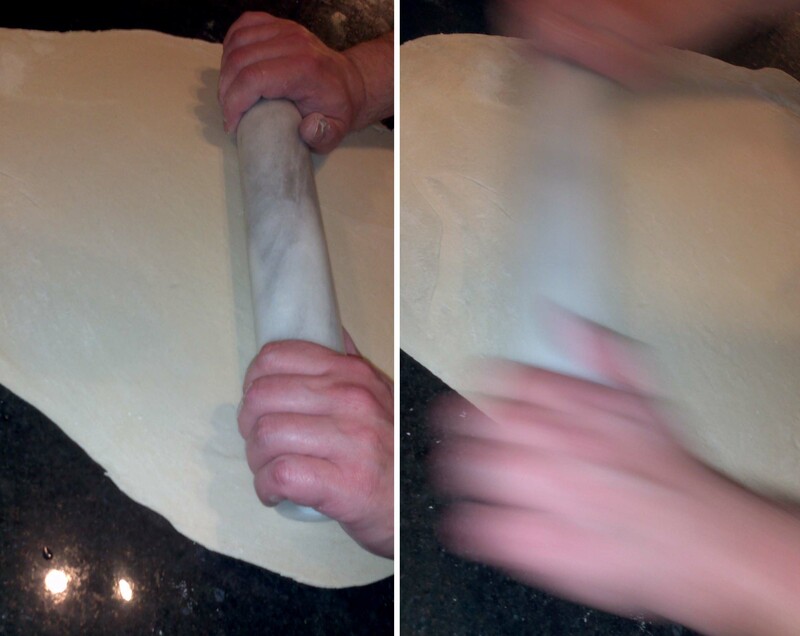 Place one circle of cut out dough on the palm of your left hand. 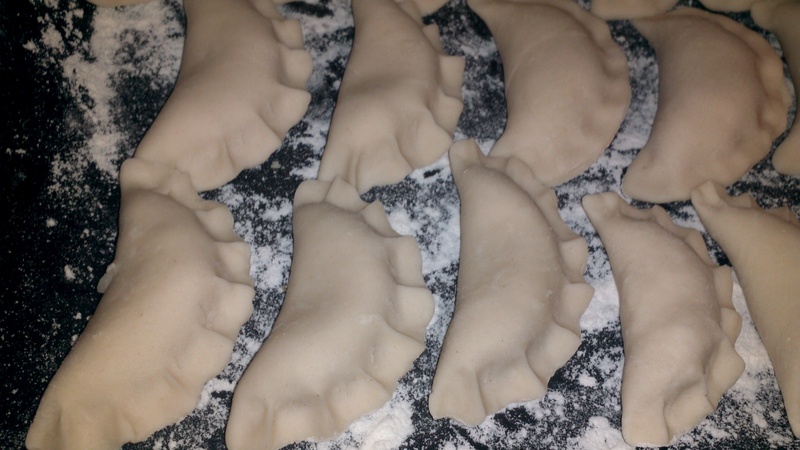 Now that we have made our prirogi let us quickly cook them before they totally dry out. For this you will need a large cooking pot, filled with water, add some salt and bring it up to boil. 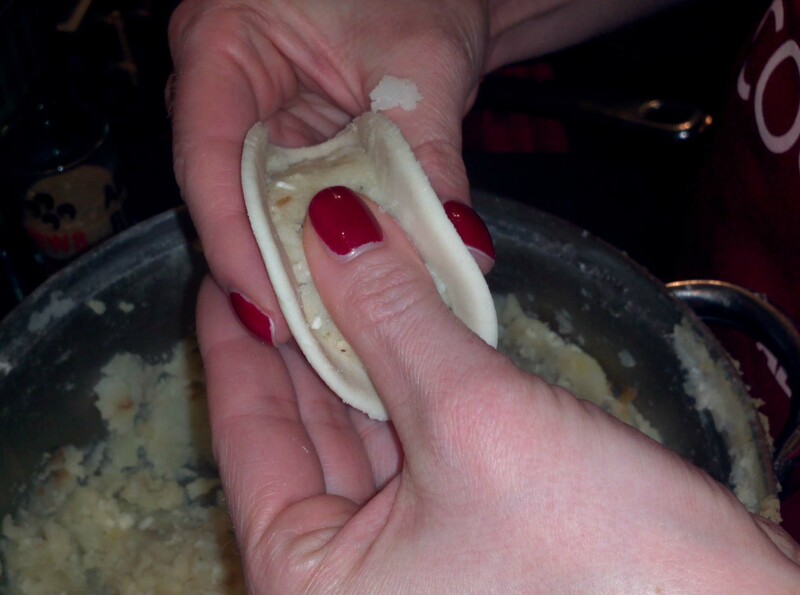 Once boiling, gently place your pierogi in, just few at a time and cover with a lid. 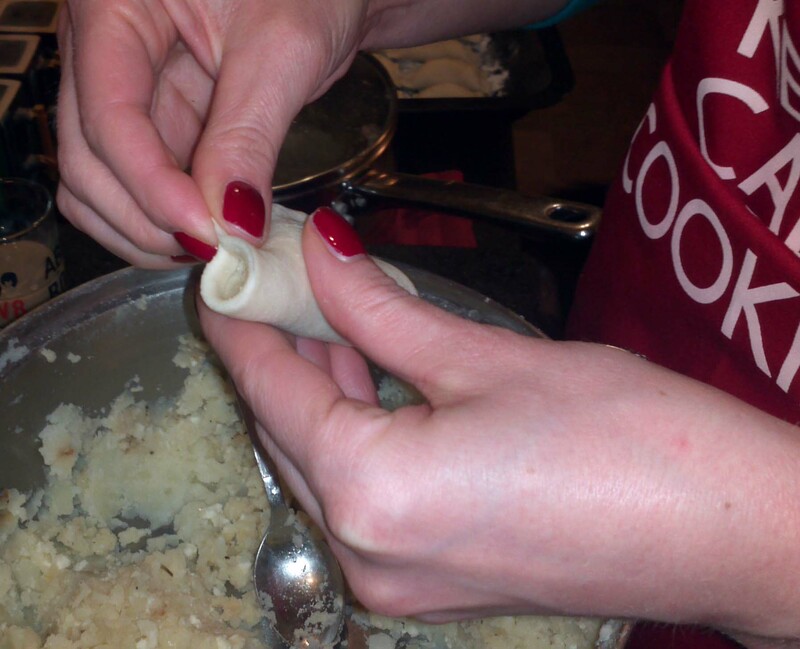 When they rise to the surface grab a slotted spoon and gently “fish them out”. Or you can let them to cool down if you want to serve them golden fried. 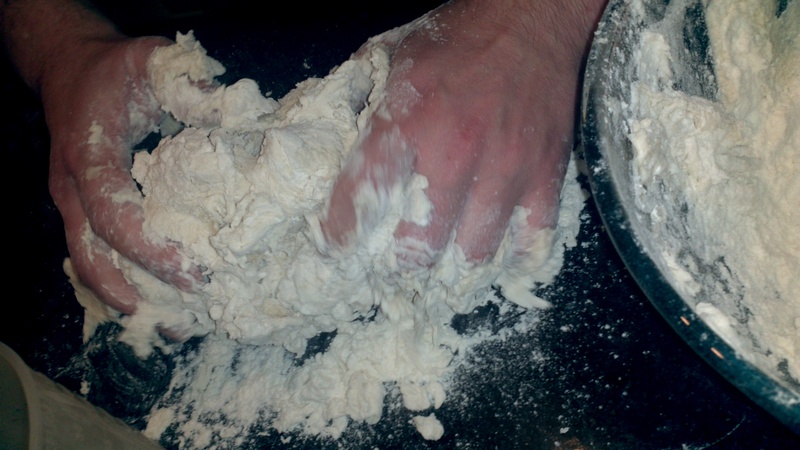 Remember don’t be tempted to make the dough in one big batch to save time, because in the end you won’t. The only exception to this tip is if you are part of a large family or have an army of little helpers. Pingback: Alaskan Recipes | Alaska: Great Sights, Great Salmon, Great State! You are more than welcome to pop by one day! You’re so kind – shame we can’t help you eat them – maybe one day 🙂 Vlad’s mum never wrote the recipe down, I’ve been searching for a recipe for a long time and I’m thrilled, yours look EXACTLY the same as hers. I’ll let you know how I go making them OK? Stay cool, I hear it’s warm in the UK. Mummy’s a terrible cook, but her polish friend Anna has made them before – yummy! Yum Yum Yum. 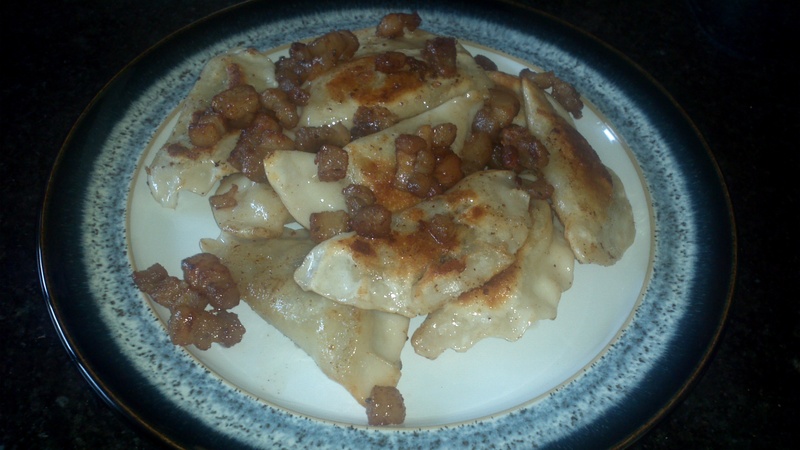 Had Polish pierogi for lunch today. Have some relatives in from out of town so we went to a Polish restaurant. Did not make my own. Great pierogis! Just wondering… how long do you boil them/how long is too long? If you squeeze them tightly nothing will fall apart, believe me. I know you can do it!